I have a cookbook and culinary magazine fetish. In fact, I had accumulated so many magazines I finally had to wheedle through the stacks, to get rid of some. My husband kept claiming I was a magazine hoarder, but I kept them as a resource for the classes I teach. I made the decision to change my mail order subscriptions and start receiving my magazines on Zinio, with the exception of a couple that didn’t utilize Zinio. If you’re not familiar with that App check it out. Now instead of having stacks of magazines piling up at home, I have them neatly organized on my iPad. It’s wonderful! Anyway, I was looking through one of my favorite magazines, the July/August 2013 issue of La Cucina Italiana. I love that magazine for all the fresh recipes, articles and stunning photos of Italy. When I got to the last page, inside back cover of the magazine, my eyes landed on a photo that I knew I had to make – today! It was Eggplant Lasagna – fresh ingredients with layers of eggplant, fresh mozzarella and ricotta cheese, dripping with a bright marinara sauce. This dish was calling out my name. The photo was an ad for BelGioioso and shared a link for their recipes, only this one wasn’t posted. 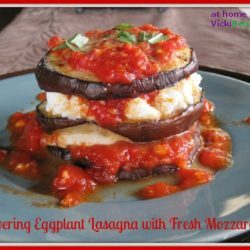 I desperately wanted to make this Eggplant Lasagna, especially since my husband wanted beef last night – vegetables were on my menu this evening. Determined, I contacted BelGioioso on the phone and spoke with a lovely woman, Jamie. She gladly emailed me the recipe so I could satisfy my craving. Just in case my husband wouldn’t eat this (he’s a picky eater), I purchased some halibut to compliment the Eggplant Lasagna, and topped it with the Marinara Sauce. It was perfect! My Towering Eggplant Lasagna with Fresh Mozzarella without question can stand alone as an entree’, but for my husbands sake I added the halibut, in the event he didn’t want it. He’s not a huge vegetable fan. I was pleased that he ate half the dish, while my son finished off what my husband didn’t want. The Eggplant Lasagna was delicious, quick to prepare and would make a beautiful dish to serve for company. I will say, a few of my eggplant were a bit tough. I thought I had grilled them to perfection, but the altitude here in the mountains is always tricky when it comes to cooking. 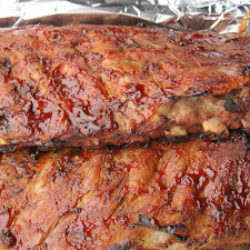 Although each slice appeared to be grilled nicely and soft, a few were a bit chewy. Note: To insure your eggplant are grilled to perfection, place slices on the grate for approximately 3-5 minutes per side, leaving nice grill marks. If at high altitude most likely they’ll need slightly longer. Once removed from the grill, wrap in foil and allow to sit for 5-7 minutes allowing them to cook a bit more to get soft on the inside (not gushy) and tender on the outside. Fortunately the store up here in the mountains carried the BelGioioso brand, which I’m certain contributed to it’s excellent flavor. Here’s the recipe, I know you’ll love it. This Towering Eggplant Lasagna with Fresh Mozzerella is so delicious and stunning you'll wish you'd made more. Marinara Sauce: Mince the garlic and cover the bottom of a large kettle with olive oil. Saute the garlic in the olive oil until it is almost ready to brown, about 2 minutes. Add the can of tomatoes, basil, black and red pepper. Bring to a boil and ten turn down and simmer sauce for about an hour, until the tomatoes are broken down. Use a wooden spoon to help break down the tomatoes while simmering. Eggplant Lasagna: Slice eggplant, about 1/4 –inch thick, salt and let sit for one hour to draw out the water. Pat dry. Heat a Teflon coated grill pan or use a grill to heat each slice of eggplant until browned on each side. For each “lasagna” stack, spread 1 grilled eggplant slice with marinara sauce and top with a slice of Fresh Mozzarella. Add another eggplant slice and top with Ricotta con Latte cheese, marinara sauce, fresh basil leaves and another eggplant slice. Garnish with marinara sauce and sprinkle with Parmesan cheese and broil to heat and melt cheeses. I have been trying HARD to cut down the intake of carbs…(well, so dang difficult for me as I LOVE breads), this is one great alternative to enjoy some Italian classic without feeling guilty. This looks totally yum! 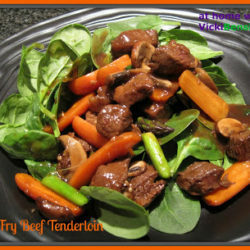 It was delicious and from start to finish it was so easy to put together and presentation wise it’s stunning! I hope you try it. You certainly were determined Vicky and I’m so happy you were! This looks like a WONDERFUL recipe! Well fortunately for the woman at the company, she was so nice to share it with me and so quickly. I can’t wait to make it again. From the bottom stack to the sauce at the top it was so tasty. I hope you give it a try. This looks like the BEST thing ever, Vicki! I LOVE eggplant and fortunately, so does my dh. Would have to cut down on cheese, trying to eat lower fat + vegetarian – but I’m sure this would still be fantastic! It really wasn’t that fattening. My son thought the same thing and when he looked at the carton of ricotta, which was their “low fat” version, and the fresh mozzarella it wasn’t bad. You slice the mozzarella and I only used 2 round slices so it’s not that much. With the eggplant and sauce it’s a great meal. Filling and satisfying. You should try it and let me know what you think., Just be sure to grill the eggplant until they’re nice and juicy inside but not gusy. You may want to slice into one to be sure – something I failed to do. I should have realized since we’re at altitude that it would take a bit longer. But it wasn’t bad just a couple pieces weren’t completely done in the whole batch. Thanks for stopping by Maria – hope your family and pup are all doing great. Getting rid of old magazines is so hard, isn’t it? I bite the bullet a few years ago and cleared out old food magazines going back to the late 1970s! I figure there are always libraries that have old copies if I need them. Anyway, great looking dish! Looks absolutely gorgeous, and I love the ingredients. I’ve made all veggie lasagna before and then always wonder why I even bother making regular lasagna. This looks like a winner – thanks. It was so hard and I too had magazines from the 70s. Those were actually the most difficult to get rid of because I don’t believe I’ll be able to find them again if I want to. If you haven’t checked out Zinio before it’s great. I love reading magazines there. They are stored in your own file on their site, no downloading, and each title is neatly organized by month and year. Sometimes I might just purchase a copy of one title and I can keep them on there forever or pitch them if I want. It’s painless and there’s no clutter. Now if I want to hoard magazines the only one that sees them is me. As for the Eggplant Lasagna I agree with you. Why bother with noodles and carbs when you can be just as satisfied and nourished even better than your typical lasagna or pasta. That’s the same reason I purchased the Spiralizer – I don’t miss my carbs when I spiralize my veggies. Thanks for your comment. Hope you’ll try this recipe. I think you and Mrs. Kitchenriffs will enjoy it. I never buy a cookbook but yes I am a magazine hoarder and it is really hard to get rid of them. I usually open my cupboard after two months and do some cleaning. I don’t know how many times I see the same magazines and do some thinking in my mind before putting in recycle. 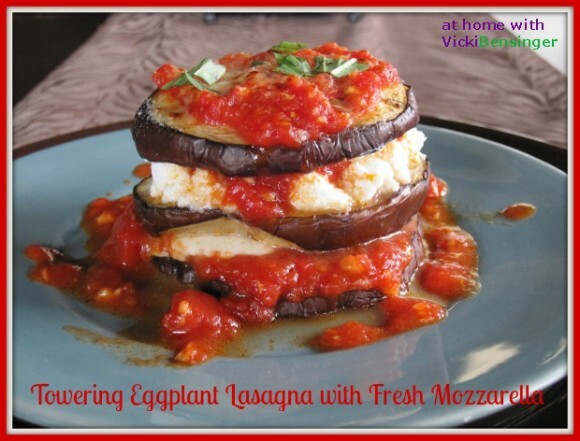 Love the eggplant lasagna tower and same as you I do have to add halibut for my husband. You’re much better than me. I don’t think about cleaning my magazines out until I can’t get around them. I have a habit once the cabinet is full to place them neatly in my closet but the stacks pile up. Good for you to go through them every 2 months. Sounds like our hubbys are similar. Love eggplant: of course I love the lasagna form!! And not because I avoid carbs [they ARE quite necessary for longterm good health], but because this will taste just plain wonderful! Foodie magazines: well, mine go back to the late 80s methinks [like a thousand and I am not exaggerating!] and I have this great ‘spring cleaning’ programme envisaged . . . well, ‘maybe next year’ . . .
That’s always me, maybe next week, next month, then next year. It’s hard to find the time in a busy day and difficult to unload them. Wow. Breath-taking photos. You’ve inspired me to make one soon. I hope you try it. Please let me know what you think of it if you do. 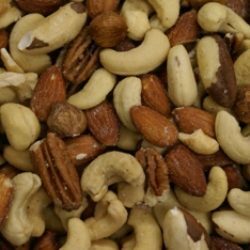 This is such a great way to cut the carbs and still enjoying. I love eggplants and always looking for recipe…thanks! I hope you try it Juliana it’s so flavorful and easy. I hope you have a great rest of your week as well. So funny, I just saw your coffee ice cream and can’t wait to make it when I get back home as well. I hope you try this. It’s definitely a showstopper dish and so easy to make as well which is all the better. I bet your kids will even love this. This looks amazing! I love eggplant, it is such a satisfying vegetable that you don’t miss the absence of meat in this dish at all. yum! Agreed. I hope you give this a try, it’s yummy! I’ve made lasagna using zucchini strips instead of pasta, but yours offers a much better presentation! And I’m certain it tastes as good as it looks! Just stunning. I like the zucchini lasagna as well and makes a perfect dish for family and company. The thing I love about the Eggplant Lasagna is you can prepare each one individually on a sheet pan or in a baking dish and then just using a spatula lift each tower out and set on a individual plates – plus it tastes amazing! I hope you’ll try it. What a great idea, Vicki! This looks so mouthwatering! It is delicious! I hope you’ll try it. Una lasaña encantadora luce muy rica y original,saludos y abrazos. I agree Rosita, it’s a unique dish and not something you see everyday. I hope you’ll give it a try. That’s a wonderful advise about how to get your recipes organized,thank you! and fresh, great for summer. I honestly don’t know what I’d do without Zinio now, I’ve come to rely on it. As for the eggplant lasagna it is fresh and light and so tasty. I think you’ll like it. This is gorgeous! I think I would savor this eggplant version as much as the traditional ones! Okay, maybe this one more since I always looking for ways to eat lighter. 🙂 Thank you so much for sharing. I can’t wait to try this. Oh you’re welcome. I love pasta but it just doesn’t agree with me as much anymore or my waistline so I try to find alternative solutions. This one was great and if you live alone it’s works perfect too. If you are serving it to family or friends I just layered each one on a sheet try then placed the final towers under the broiler to melt the cheeses. Once finished just use a spatula and place each individual tower on a plate and serve. What could be easier. Hope you’ll try it. This is just awesome!! Love the presentation! Thank you. I agree it’s a showstopper and best of all it’s simple to prepare and delicious! Thanks Nancy, I hope you try it, it’s so good. Yes I know too well about magazines. I definitely have a fetish. When I was younger it was shoes, now it’s cooking magazines, go figure! I had to stop all of my culinary magazine subscriptions because they were taking over the house. 🙂 I’ll have to check out zinio. Thanks! Delicious eggplant stack and I bet it was good with halibut. Thank you, yes it was delicious. Definitely check out Zinio it’s so worth it. Beautiful! I’ve got this recipe on my ‘eggplant dishes to make this Summer’ list! Please let me know what you think after you prepare it. I’m sure it will be a hit. Wow!,amazing and unique recipe for the egg plant. I can’t imagine that its possible to cook like this, I only knew eggplant with eggs. I’m so glad you tracked down the recipe! This looks delicious and so summery and fresh. I’ll be looking for eggplant on my visit to the farmers’ market today! Please let me know what you think of the recipe after trying it. No kidding. Just looking at it on the table was exciting. It just popped and with the sauce dripping down the sides made me drool. A great recipe if I do say so myself. 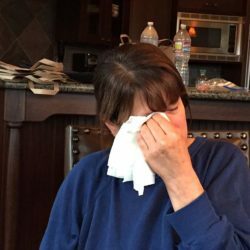 My husband isn’t much of a fan of veggies so what he didn’t eat my son devoured. This is absolutely gorgeous! Love the presentation and flavors. It was delicious and so beautiful to look at I almost hated to eat it. I hope you’ll try it.